Octane Fitness LLC v. ICON Health & Fitness, Inc., No. 12-1184 (U.S. April 29, 2014). Highmark, Inc. v Allcare Health Management System, Inc., No. 12-1163 (U.S. April 29, 2014). In two unanimous decisions, the U.S. Supreme Court repudiated a 2005 decision by the U.S. Court of Appeals for the Federal Circuit that restricted awards of attorneys fees to a prevailing party under 35 U.S.C. § 285. Calling the Federal Circuit’s requirements “unduly rigid,” the Court ruled that district court judges have broad discretion to award fees in cases that, based on the totality of the circumstances, “stand out from other [cases] with respect to the substantive strength of a party’s litigating position (considering both the governing law and the cases of the case) or the unreasonable manner in which the case was litigation.” In addition, the Court ruled that district court determinations under §285 are subject to review only for abuse of discretion. The Octane and Highmark opinions give district courts more flexibility in deviating from the “American rule” governing attorneys fees in patent cases. In light of current Congressional interest in instituting a “loser pays” system in patent cases through amendments to the Patent Act, the decisions may give the courts some breathing room to attempt to combat the PAE epidemic through a more hands-on approach to case administration, rather than being subjected to statutory fixes imposed by Congress. The Patent Act, like many U.S. statutes, provides an express exception to the general rule in American litigation that each party pays its own attorneys fees, regardless of the outcome. Section 285 of the Act states simply that, “The court in exceptional cases may award reasonable attorney fees to the prevailing party.” Prior to 2005, courts including the Federal Circuit interpreted this provision as authorizing attorneys fee award in cases which, in the district court’s discretion, were exceptional under the circumstances. In 2005, however, the Federal Circuit imposed a more exacting standard for attorney fee awards. Brooks Furniture Mfg, Inc. v. Dutailer Int’l, Inc., 393 F.3d 1378 (2005). In Brooks, the CAFC ruled that attorney fee awards were only available in two situations. First, a case was exceptional “when there has been some material inappropriate conduct related to the matter in litigation, such as willful infringement, fraud or inequitable conduct in procuring the patent, misconduct during litigation, vexatious or unjustified litigation, conduct that violates Fed. R. Civ. P. 11, or like infractions.” 393 F.3d at 1381. If those situations were lacking, then fees could be imposed where two conditions were present: :"both (1) the litigation is brought in subjective bad faith, and (2) the litigation is objectively baseless.” Id. In addition, Brooks held that a finding of exceptionality must be supported by clear and convincing evidence. We hold, then, that an “exceptional” case is simply one that stands out from others with respect to the substantive strength of a party’s litigating position (considering both the governing law and the facts of the case) or the unreasonable manner in which the case was litigated. District courts may determine whether a case is “exceptional” in the case-by-case exercise of their discretion, considering the totality of the circumstances. As in the comparable context of the Copyright Act, there is no precise rule or formula for making these determinations, but instead equitable discretion should be exercised in light of the considerations we have identified. Slip op. at 7-8 (Citation, quote and footnote omitted). The Court ruled that the Brooks standard was too rigid for several reasons. First it largely required independently sanctionable conduct, which rendered § 285 superfluous. Second, the second part of the test required both objectively baseless claims and subjective bad faith, although either one alone should be enough to justify and attorney fee award. Finally, the Court ruled that in light of the broad discretion afforded district courts in evaluating requests for fees, the evidence need not attain the level of clear and convincing proof. The Court noted that, “Section 285 demands a simple discretionary inquiry; it imposes no specific evidentiary burden, much less such a high one.” Slip op. at 11. For reasons we explain in Octane, the determination whether a case is “exceptional” under §285 is a matter of discretion. And as in our prior cases involving similar determinations, the exceptional-case determination is to be reviewed only for abuse of discretion. Slip op. at 4. Copies of both decisions are available HERE. Compulsory arbitration and applications for interim relief: is Portugal's law invalid, or just plain wrong? PATENT ENFORCEMENT: IS MANDATORY ARBITRATION IN LINE WITH THE PORTUGUESE CONSTITUTION? The Law No. 62/2011, which created a system of composition of disputes arising from industrial property rights regarding reference medicinal products and generic medicinal products, was published on December 12, 2011. According to article 2 of the Law No. 62/2011, disputes arising from industrial property rights, including injunctions, related to reference medicines are subject to mandatory arbitration. It is provided in article 3 of the Law No. 62/2011 that such arbitration should be initiated within 30 days starting from the publication of the MA application of the generic medicine by Infarmed. 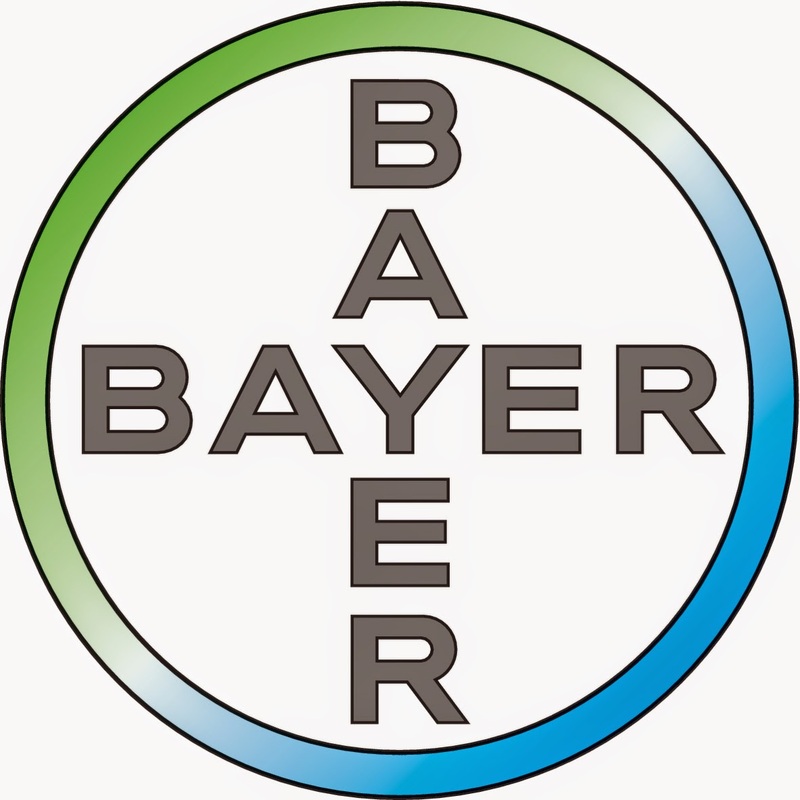 The company Bayer requested a preliminary injunction at the Intellectual Property Court against the company Laboratórios Effik, based on industrial property rights. The Intellectual Property Court refused to judge a preliminary injunction, based on the provisions of article 2 of the Law No. 62/2011, according to which disputes, including injunctions, are subject to mandatory arbitration. b. Articles 2 and 3 of the Law No. 62/2011: The constitutionality of the compulsory 30-day term to initiate the mandatory arbitration as foreseen in the Law No. 62/2011. On March 25, 2014, the Constitutional Court delivered a summary decision, according to which it rejects part of the appeal filed by Bayer, claiming that the Court’s intervention is limited to the analysis of the constitutionality of a rule when this rule was applied by the appealed court. Thus, the second question posed by Bayer (interpretation of article 3 of the Law No. 62/2011) would be relevant only if an arbitral tribunal had decided not to accept the arbitration proceedings due to failure to comply with the 30-day term, which was not the case. However, the Constitutional Court agreed to analyze Bayer’s 1st question, i.e., the constitutionality of the interpretation of article 2 of the Law No. 62/2011 in the sense that it excludes the right to turn to public courts in disputes arising from industrial property rights and generic medicines, even in case of preliminary injunctions. We foresee that the Constitutional Court will deliver a decision on this important subject still in 2014. (b) order the seizure or delivery up of the goods suspected of infringing an intellectual property right so as to prevent their entry into or movement within the channels of commerce. The word "arbitration" is not found in Directive 2004/48. The second policy development I will mention is an example of how antitrust enforcement can be adapted to support innovation in Europe. I’m talking about the new rules for the assessment of licensing agreements adopted by the Commission last March. Through these agreements, innovative firms license the use of their patents, know-how and software to other companies. A good licensing system strengthens the incentives for research and development; helps to spread innovation; and allows licensees to bring new products and services to the market. However, the system can also be used to stifle competition. For instance, two companies can use a licensing agreement to divide markets between themselves instead of competing with each other. The rules we have approved in March will give better guidance to firms on how to license in ways that stimulate innovation and preserve a level playing field in the Single Market. Now we will adopt in the coming weeks two decisions on standard-essential patents[.] In one of the cases [Motorola Mobility Inc.] we are preparing a decision based on Article 7, a prohibition decision, and in the other case [Samsung] we are preparing a decision based on commitments. Almunia added that, while Motorola has chosen to discuss the matter before the Court of Justice, refusing to offer commitments, he is confident that the court will upheld the Commission's findings. 'In most of the cases', he concluded, 'we win the cases before the courts'. On 4 March 2014 Sweden, Estonia, Latvia and Lithuania signed an agreement to establish a Nordic-Baltic regional division of the Unified Patent Court. Finland and Denmark, originally involved in the negotiations, have since dropped out and it is thought that those countries are currently considering the alternative of national local divisions. The March 2014 agreement does not however preclude Unified Patent Court member states signing up at a later stage. * ... but cases will be heard elsewhere to the greatest extent possible. This new court structure might be implemented as early mid-2015; it will thus be operational around the same time as the Unified Patent Court comes into effect. Rarely have I read such an interesting, brilliant and original piece as Lawrence Goldstone's 'The Wright Brothers and a Patent-Law Dogfight', published yesterday on the Wall Street Journal. The short article briefly tells the story of the famous lawsuit between the Wright brothers and Glenn Curtiss, which the author explores in detail in his forthcoming book entitled 'Birdmen: The Wright Brothers, Glenn Curtiss, and the Battle to Control the Skies'. In 1904, Orville and Wilbur Wright filed a patent application for their groundbreaking invention, which taught how to simultaneously control all the three axes of flight: roll, through wing-warping, yaw, through a rear rudder, and pitch. 'Before sharing their invention with the world', Goldstone explains, 'they wanted to be certain that they had secured a patent that would cover the very notion of controlled flight itself', as they intended to collect royalties on every airplane produced. 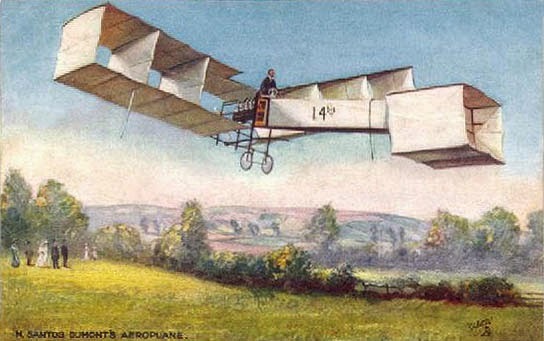 The brothers were granted US Patent 821,393, significantly titled 'Flying Machine', in 1906: a pioneer patent, enjoying a broad range of equivalents under Westinghouse v Boyden Power Brake Co. (where the Supreme Court stated that the term pioneer 'is commonly understood to denote a patent covering a function never before performed, a wholly novel device, or one of such novelty and importance as to mark a distinct step in the progress of the art', inventions such as the electrical telegraph or the telephone - you can read more about pioneer patents here). 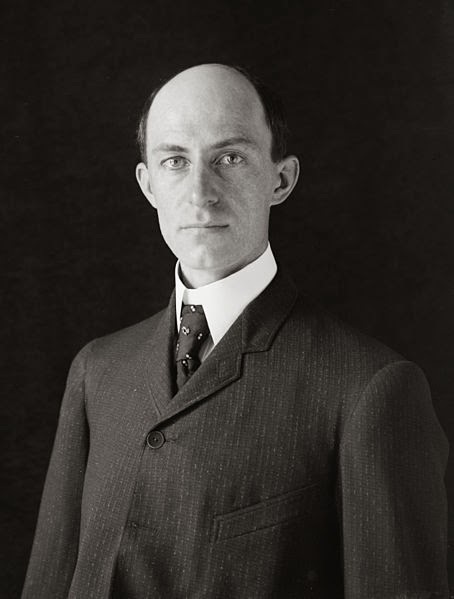 When Glenn Curtiss started manufacturing airplanes using ailerons, instead of wing-warping, the Wright brothers immediately brought suit, alleging patent infringement, as their patent clearly stated that 'our invention is not limited to this particular construction, since any construction whereby the angular relations of the lateral margins of the aeroplanes may be varied in opposite directions with respect to the normal planes of said aeroplanes comes within the scope of our invention'. But Orville might as well have blamed the patent system. If patents had been more restrictive, if the Wrights could not have had the carrot of monopoly dangled in front of their noses, they would have been forced to continue to innovate, to apply their awesome scientific instincts to bettering their invention instead of merely defending it. 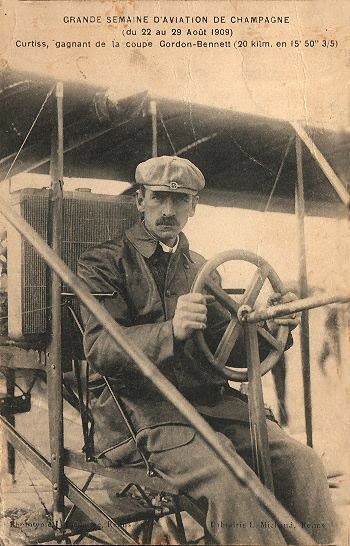 In January 1912, Wilbur himself wrote to a friend in Europe that he regretted leaving the workshop for the courtroom, and he wondered how far he might have pushed the boundaries of aviation had he not lost himself in the morass of the legal system. Nowadays, both the number and the nature of lawsuits involving software, hardware and even design minutia are testament that patent law remains the damper on innovation that it was when airplane development was nearly grounded in its infancy. The keyword that resonates through Goldstone's article is innovation. It is frequently stated, and universally accepted, that patent law promotes innovation, encouraging investments in research and development. But the story of Wright's lawsuit suggests that the relationship between patent protection and innovation is more complex: the first is not a substitute for the latter, while the latter may supersede the former, although they probably work best when one accompanies the other. Genetically, innovation represents a process, a constant stream of new ideas, which flows at different speeds, depending on a number of variables (e.g. industry characteristics, competition, market demand, technical complexity, etc.). Patents protect segments of that stream, but they cannot halt the flow of innovation. Therefore, when a patentee stops innovating, as Wilbur Wright did, his patents may quickly lose their strategic value. Goldstone writes that '[i]n something of an irony, the patent system, designed specifically to promote and protect innovation, has never been particularly adept in dealing with new technologies'. But is it really the patent system's fault? We could probably argue that, in part, it is, and deal with the issue by amending existent legislation, for example through measures aimed at better tailoring the patent term to the innovative value of the inventions or to the optimum patent reward, as suggested by Benjamin Roin here. However, we could also argue that inventors bear their own share of responsibility, especially when they leave the path of innovation to live in the shadow of their patented inventions. A modern example of the same lesson taught by the Wright's patent war can be seen in the current global controversy between Apple and Samsung (which you can investigate in detail by reading Florian Mueller's blog). Both parties are discussing, in many jurisdictions around the world, reciprocal allegations of patent infringement, with mixed success. The strategic value of litigation, for either company, is certainly obvious, both in terms of damages and brand reputation. However, the strategic value of innovation, for Samsung and Apple, is clearly much higher. The question, therefore, remains always the same: does it make sense to rely more on patent protection than on innovation? The experience of the Wright brothers suggests that it does not. The OIPC, which 'reflects USPTO’s strong commitment to work with global stakeholders and intellectual property offices to develop means to increase quality and create new efficiencies within the complex processes of international patent rights acquisition', will be led by Mark Powell, a former patent examiner and director of the telecommunications examination operation, who spent several years as an expert in international cooperative activities within the Office of Policy and International Affairs. Every one of us in the business of intellectual property shares a common conviction that our patent system is too important to treat lightly or hastily[.] We have to find that balance, or sweet spot, where our patent laws and processes provide the strong protection innovators need, without the kind of red tape, delays, or frivolous litigation that stifles innovation. The USPTO, which is actively working with Congress on the pending proposals, announced, in January 2014, a proposal to require disclosure of the attributable owner, including the ultimate parent entity, during the pendency of a patent application and at specified times during the life of a patent. The measure seeks 'to facilitate the examination of patent applications and to provide greater transparency concerning the ownership of patent applications and patents' - public comments may be submitted until 24 April 2014. Deputy Director Lee stated that the agency is also encouraging the adoption of measures specifically carved (i) to protect the downstream users of commonly available technologies from abusive litigation, and (ii) to streamline the complex and expensive process of patent litigation. 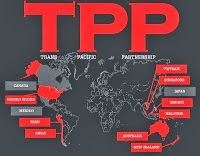 Last week, UNITAID released its full report on 'The Trans-Pacific Partnership Agreement: Implications for Access to Medicines and Public Health' (the IPKat, here, carries a number of posts that examined in detail the Trans-Pacific Partnership Agreement, including my analysis of patent-related provisions). The organization, established in 2006 by the governments of Brazil, Chile, France, Norway and the United Kingdom, aims to increase access to treatment for HIV/AIDS, TB and malaria for people in developing countries, promoting policy measures and international efforts to significantly reduce the price of quality drugs and diagnostics, while ensuring their widespread availability. From this perspective, UNITAID noted that several provisions included in the draft (leaked) version of the Trans-Pacific Partnership (TPP) Agreement 'have the potential seriously to hamper access to medicines', disrupting generic competition in the pharmaceutical market and negatively affecting the flexibilities embedded in the TRIPS Agreement and the Doha Declaration on the TRIPS Agreement and public health. The report first looked at the provisions dedicated to patents. UNITAID observed that the TPP would generally require its parties to adopt low thresholds of patentability, resulting in an increase in the number of patents granted, inter alia, for medicines and medical technologies. Similarly, the agreement would prevent developing countries from adopting higher standards of patentability for secondary pharmaceutical innovation, such as the well-known Section 3(d) of the Indian Patent Act. This measure, according to the report, would incentive 'evergreening' practices, allowing patent holders 'to enjoy longer periods of exclusivity on a medicine than the 20-year minimum period prescribed by TRIPS'. Further, by affirming the patentability of plants, animals, surgical and diagnostic methods, the TPP would effectively repeal the flexibility afforded by Article 27(3) of the TRIPS Agreement. UNITAID noted that the agreement proposes the weakening of disclosure standards (in particular, watering down the requirement to disclose the best mode of working, and allowing Markush-style claims), altering the balance between patent reward and public interest. The organization also expressed serious concern about the provision prohibiting pre-grant opposition proceedings (withdrawn in the latest version of the TPP), and questioned the opportunity of providing a five-year extension of the patent term to compensate patent holders for delays related to the regulatory approval of patented drugs. Restrictions to the Bolar exemption were also described as measures which 'would create significant barriers to the rapid entry of generic medicines into export markets', due to the proposed limitations concerning manufacture and export of generic drugs. Intense criticism was prompted by the provisions concerning data exclusivity and patent linkage. The former, proposed by the US and adversed by most of the other parties, would protect the safety or efficacy information submitted by a patent holder in order to obtain marketing approval for a new pharmaceutical product, if their origination involved a considerable effort, through a five year period of data exclusivity. A similar protection, albeit for a reduced period of at least three years, would also apply to new clinical information (except those related to bioequivalency) essential to the approval of a pharmaceutical product that contains a chemical entity previously approved for marketing in another pharmaceutical product. According to UNITAID, these provisions would result in duplicate clinical trials, force generic manufacturers to face high pre-marketing expenses, considerably increase the cost of generics, and interfere with the implementation of compulsory licenses, producing an overall negative impact on access to medicines. On patent linkage, the organization argued that it represents a particular concern in developing countries, as it provides patent holders with an additional tool to prevent generic entry, creating, at the same time, an additional burden on regulatory authorities. After providing an overview of issues that arise from the TPP provisions concerning trademarks and copyright, the report examined the chapter related to the enforcement of intellectual property rights. First, UNITAID suggested that the adoption of a presumption of validity of patents and trademarks 'is likely to make it considerably more difficult to challenge intellectual property rights on medicines, while also increasing the risk to generic competitors of infringement proceedings'. Second, it observed that requiring civil judicial procedures to be made available for any intellectual property rights would reduce the flexibility allowed by TRIPS. Third, a number of measures for strengthening enforcement (e.g. disclosure of information concerning the supply and distribution chain of an alleged infringer, high damages, criminal penalties, etc.) would significantly discourage generic entry, with obvious negative effects on the timely availability of generic medicines. The report went on to examine other provisions related to border measures and public investments. UNITAID concluded its report noting that the TPP would 'restrict the adoption of policy options for developing countries to ensure that trade or commercial interests do not hinder the protection of health and human development'. The organization explained that it supports the adoption of a 'positive agenda', which would ideally take into account all the interests at stake, balancing 'the goals of free trade and growth [with] the objectives of ensuring access to needed medicines and the protection of public health'. Further, it prompted a reflection on the reciprocal role of intellectual property and competition law, noting that stronger protection for intellectual property rights should be accompanied by a stricter and more effective enforcement of competition rules. France's document of ratification of the Unified Patent Court (UPC) Agreement was deposited on 14 March 2014. France is one of the three signatories to the UPC Agreement whose ratification is essential before the Agreement can come into effect (the others being Germany, which says it will ratify the agreement and will commence the procedure to approve ratification later this year, and the United Kingdom, which expects to ratify before the end of the current parliament in 2015. The chart on the European Commission's Unitary Patent ratification web page features both the French ratification and that of Austria before it, but there is no sign of Malta having done likewise, despite rumours posted on this weblog earlier this year. Meanwhile, this blogger learned from the King & Wood Mallesons LLP/S J Berwin website, here, that the Belgian Senate approved the UPC Agreement on 13 March 2014 and that it awaits approval by the House of Representatives. The Kluwer Patent Blog adds that on 2 April the House of Representatives' parliamentary committee for Foreign Affairs voted in favour of the ratification of the UPC Agreement. Apparently the vote in plenary session is planned for the week of 22 April 2014, but should be "no more than a formality". Professor Doctor Winfried Tilmann (Heidelberg University; Counsel to HoganLovells Düsseldorf) has been giving his close attention to some of the issues that still remain open for resolution following the publication of the 16th draft of the Rules of Procedure (RoP) -- a set of rules on which successful implementation and operation the Unified Patent Court Agreement (UPCA) will depend. Readers are invited to share their comments with Winfried, and with one another, by posting them below. The 16th draft of the UPCS-RoP of January 31 left a few issues open on which the drafting committee could not agree or where a political decision seemed to be needed. The present article tries to summarize the arguments considered and to evaluate them from a legal point of view. 1. The sunrise provision in Rule 5.13 provides that opt out applications may be lodged with the EPO before the entry into force of the UPCA. The EPO will subject the application to the same check on formalities, including a fee to be paid, as the UPC Registrar would do under Rule 5.1 to .6. On the day of entry into force the EPO will transfer the details of the application and the fee paid together with the result of its check on formalities to the UPC Registrar. The argument for this proposal is based on Art. 83(3) UPCA which provides that for an European Patent (EP) or an SPC an opt out is possible "unless an action has been brought before the Court", meaning any action concerning the patent or SPC to be opted out. Patent proprietors had voiced their fear that such an action could be brought against them immediately after the entry into force of the UPCA preventing their intended opt out. The EPO, initially, did not seem happy with this proposal, but now seems to be considering it in more detail. What would be the legal basis for implementing that proposal? (1) The UPCA Contracting Member States have made use of an authorisation, contained in Art. 142(1) EPC, to partly substitute in the way of a "special agreement", the referral of Art. 64(1) EPC (incorporating material national law into the international grant effect) by unitary rules on EP, especially regarding the substantive and procedural consequences of patent infringement (the EP becoming a small unitary patent). (2) The UPCA Contracting Member States have made use of an authorisation, contained in Art. 149a(1) lit. a EPC, to establish, in the way of a "special agreement", a "European patent court common to the Contracting States party to it". For both aspects of the UPCA (as a "special agreement") the provisions of Art. 143 to 146 EPC are applicable. This is not expressly said in Art. 149a EPC, regarding an agreement on a "European patent court", but it follows from the same kind of authorisation in Art. 142 and 149a EPC. Therefore, the EPC Contracting States may, under Art. 143(1) EPC, "give additional tasks to the European Patent Office", supervising the relevant activities of the EPO through the Select Committee (Art. 145 EPC), but they have to pay for the costs (Art. 146 EPC). 2. Based on the authorisation, contained in Art. 41(1) UPCA, to "lay down the details of the proceedings before the Court" the RoP define the requirement for an opt out of an EP in Rule 5.1 lit. b (all proprietors), lit. c (all designations), 5.4 (representation not necessary) and 5.5 (opt out fee). For SPC the RoP contain specific rules (Rule 5.2). These requirements are covered by the authorisation of Art. 41(1) UPC and are, legally, correct. The Note to Rule 5 does not go beyond the contents of Rule 5. 3. In January, 2014, the Preparatory Committee published on its website an Interpretive Note on Art. 83(1) and (3) UPCA according to which the national courts being competent to handle EP-cases in the Transitional Period would have to apply national law and not the law as harmonised by the UPCA. For a number of reasons I do not share this view. Since I will publish an article on that matter shortly, I shall not enlarge on it here. 1. 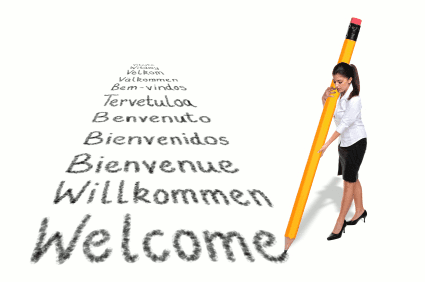 The first alternative text proposes that any Contracting Member State (1) may designate an EPO-language which the division "must or may use", "may" indicating a choice for the division, and (2) may subject its designation to conditions. Both parts of the proposal want to safeguard a "fair trial" as required by Art. 6 of the European Convention of Human rights. The defendant, who is already protected by Rule 271.1 and .7 (refusal of service) against a Statement of claim the language of which he cannot understand and by Rule 109 (regarding interpretation during oral hearings), might argue that the "trial" (procedure) is not fair, because he must have translated, at his own costs, all pleadings and documents into the language he understands. The proposal would allow a "condition of designation" according to which the division may order the use of its home language hoping, by doing so, to solve the language-problem of the defendant. The proposal would also allow a "condition" that the division may use its home language if the division itself has problems understanding the case in the designated language. In short, the proposal allows for an "exit out of the designated language and back into the home language in a given case". The human rights problem the proposal is trying to solve is evident. The proposed solution will help the defendant. Even if he cannot understand the home language of the division either it is at least the language of his domicile state or region or the language of the market where he is active (use of the patent alleged). The disadvantage for the claimant is that he may have started in the designated language and, now, must translate his Statement of Claim into the Court's language. But such a kind of problem (not necessarily the same) the claimant will already have encountered under Rule 271.1 and .7 (refusal of service). 2. The second alternative text ("Belgian clause") wants to solve the language problem for a special (Belgian) type of defendant who has used the patent (allegedly) only in one state (local division) or one region (of a regional division) where he has his domicile (here "domicile use"). It proposes that in such a case, if an EPO language is designated, the Statement of Claim shall be drawn up in the language of his domicile state or (if an official regional language exists in that state) in the language of the region where he has his domicile (here "domicile region"). In a caveat-clause the proposal allows the "language of choice of the claimant" (1) in the case of several official languages in the domicile state or domicile region and (2) in the case of multiple defendants with seats in different states or regions of a state having different languages. The second alternative text, legally, is a rule to be applied, if, for instance, Belgium designates English as an EPO-language to be used (Art. 49(2) UPCA). Belgium would be able to achieve the same result by defining the second alternative text as a "condition for its designation" under the first alternative text. Therefore, both solution can easily be merged on the basis of the first alternative text. In any case, the second alternative text (whether as a rule or a condition) should be redrafted to make it easier to read, to understand and to apply. 1. Pursuant to Art. 32(1)(i) UPCA the UPC has jurisdiction for actions against the EPO regarding tasks conferred upon the EPO under the Unitary Patent Regulation (Art. 9(3) UPatReg), for instance if the EPO has refused to register an application for unitary effect (Art. 4, 9(1) lit. c UPatReg). A problem of time arises, because that action before the UPC might take some time. If the claimant is unsuccessful, time limits for paying renewal fees to the designated states might have run out. All the RoP can do to solve this problem is to cut short on any time limit in the procedure before the UPC (Rule 97) and even posing the question whether there must be an appeal (Note to Rule 97). From the viewpoint of "fair trial" (Art. 6 of the European Convention of Human rights) the rushing procedure of Rule 97 does not seem acceptable. And the exclusion of appeal is not compatible with Art. 73 UPCA which prevails over the RoP (Art. 41. (1) UPCA, Rule 1.1). An alternative option to Rule 97 would be an agreement concluded by the Contracting Member States, based on Art. 142(1) EPC, according to which the time limits regarding translation and renewal fees, under national law, shall expire only 1 month from the final rejection of the application for unitary effect in court proceedings under Rules 85 to 95. Such an agreement harmonizing national process law could, under Art. 31(3)(a) of the Vienna Convention, be concluded by an unanimous decision of the Select Committee without ratification and change of national law being necessary. This option should be discussed between the Preparatory Committee and the Select Committee. 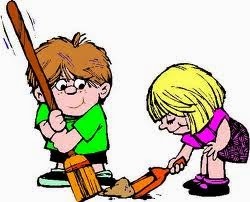 It would allow to return to the normal procedure under Rules 85 to 95 and to delete Rule 97. 1 Under Art. 73 UPCA there are six privileged types of procedural orders, privileged in the sense that both parties have the right to appeal against them without a leave of the Court being necessary (prominent examples: saisie-orders, preliminary injunctions). And there are un-privileged procedural orders (all other procedural orders, a great number). For them Art. 73(2)(b) offers two alternatives: (1) they are appealable together with an appeal against the final decision, or (2) where "the Court" grants leave to appeal they are appealable within 15 days "from the Courts decision to that effect", meaning 15 days from the decision to grant leave. Controversy has arisen regarding the question what "Court" means in Art. 73(2)(b)(ii) UPCA. The draft leaves this question for the Court of Appeals (CoA) to decide (Note to Rule 220.2). It has, provisionally, included a text in Rules 221.1 and .3 and 224.1(b) and .2(b) which may be used, if the CoA decides he may grant leave and not only the Court of First Instance (CFI). The procedure is the following. Rule 220.2: A party (applicant) may apply within 15 days from the order (to be appealed) to the CFI to give leave to appeal. Rules 220.2 and 221.1 and .3: If the CFI refuses to grant leave to appeal the applicant can lodge an Application for leave to appeal at the CoA. The standing judge of the CoA decides on that application. Rule 224.1(b) and 224.1(b): Within 15 days from the positive leave-decision of the CFI or the CoA the applicant must hand in his appeal. Within the same time limit he must hand in the grounds for appeal. The provisional procedure described is practicable, but its application will depend on the interpretation of Art. 73 UPCA by the CoA (Note to Rule 220.2). Traditionally, three leave-to-appeal-constructions are known: (1) leave only by the deciding court, (2) leave only by the appeal court (example: US Supreme Court), (3) leave by the deciding court and appeal against a no-leave-decision (Germany: second instance refuses leave; appeal against that no-leave-decision to the Federal Court of Justice which may revoke the no-leave decision and grant leave). The procedure proposed is adding a fourth variant: After a no-leave-decision ("refusal") of the CFI a leave may be granted by the CoA without the CoA revoking the CFI's decision. If leave is granted by the CoA, two un-altered decisions of the "Court" will stand: a no-leave decision by the CFI and a leave decision by the CoA. This is difficult to reconcile with Art. 73(2)(b(ii) UPCA which speaks of one leave decision of the "Court" only. It would not be possible to change the proposed procedure to an appeal against the no-leave decision of the CFI (German model), because the Agreement knows only one appeal procedure, not a special "appeal for leave-procedure". It is no secret that the strong support of users for the CoA-leave to appeal against unprivileged procedural orders, politically, is a kind of last-ditch fight against bifurcation orders (Rule 37.4). But there will be many other un-privileged procedural orders. The two-stage procedure to gain leave with the prospect of a full appeal procedure (if leave is granted), although with reduced time limits, may look pleasant to the defendant and to lawyers. It does not look pleasant to the CFI where the procedure goes on meanwhile (no suspensive effect, Rule 223.5) but under the Damocles-sword of a later revocation of the procedural order by the CoA with unpleasant consequences. The CoA's decision might even come after the decision on the merits of the CFI if the CFI does not stay the proceedings to await the outcome of the appeal proceedings on the un-privileged procedural order. The applicant may, then, include his argument into the grounds of appeal against the decision on the merits (Art. 73(2)(b)(i) UPCA). This is the judgment of the Court. 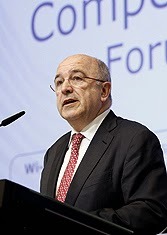 On 11 March 2014 we gave judgment providing our reasons for allowing an application by Samsung for an adjournment of this appeal and dismissing an application by Apple for an order requiring Samsung in substance to elect between this appeal and its central amendment applications [this decision is reported in a guest PatLit post by Paul England, Taylor Wessing, here]. We invited the parties to agree a form of order reflecting our judgment. Regrettably [but not surprisingly, given the history of ill-feeling and lack of mutual respect and magnanimity that has pervaded the parties' relationship in recent times] that is not something they have been able to do. There are four [five?] issues in dispute and we will address them in turn. On 10 March 2014 the EPO issued a communication stating that the central limitation application in respect of the 404 patent can be allowed. The EPO's initial response to the application in respect of the 726 patent has, however, been negative. Samsung is addressing the EPO's concerns but says it is likely that the final determination of that application will take a further few months. In these circumstances, Samsung submits that the substantive appeal in relation to the 404 patent should not be delayed pending the outcome of the application in relation to the 726 patent. It says that the appeals in relation to the two patents are materially different; that the patents relate to different technology; that at trial the patents were addressed by different legal teams and experts; and that the judge gave separate judgments in relation to them. We do not believe it is appropriate to split the appeal in the way that Samsung suggests, at least at this stage. Samsung chose to sue Apple for infringement of the 726 and 404 patents in a single action and the judge made one final order in relation to it. The appeal against that order was originally fixed to be heard on 4 or 5 March 2014 with a time estimate of three days. Samsung then asked for an adjournment of the appeal as a whole and it did so for a relatively short period, indicating in submissions that its central amendment applications were likely to be determined by June 2014, if not before, that is to say about three months from the date fixed for the hearing of the appeal. Moreover, as Apple says in response, there are some common issues, including the general question how an appeal should proceed in the light of a central amendment application made after trial. It has therefore chosen to use a single legal team on the appeal. In all these circumstances we are satisfied that it is still appropriate that there should be a single appeal hearing in relation to both patents. Should circumstances change and that not prove practicable, the parties have liberty to apply [Samsung 0 Apple 1]. Samsung's position in relation to costs is very straightforward. It says that its application has been allowed and Apple's application has been dismissed and, as a result, it should have all of its costs. Apple responds that Samsung has sought and been granted an indulgence and accordingly should pay to Apple all of its costs. We consider there is some merit in each of these arguments. Samsung has successfully secured the adjournment it sought and Apple has failed in its application to require Samsung to abandon its central amendment applications or have its appeal struck out. Nevertheless, we also believe that Apple is right in submitting that Samsung has sought and been granted an indulgence. It sought an adjournment of the appeal at a late stage and having failed to apply for the amendments now in issue either before the trial or even promptly after the trial. Moreover, Apple has, in our judgment, acted entirely properly in resisting Samsung's application and in bringing what was, in substance, a responsive cross-application. In all these circumstances we have come to the conclusion that a just result would be achieved by making no order in relation to the costs of either application [still Samsung 0 Apple 1, then]. Apple submits with considerable force that it should have the costs of and occasioned and thrown away by the adjournment and that we should make an order for their payment now. However, we consider that it is difficult at this stage to determine what these costs comprise and consequently what effect such an order would have. In these circumstances we have come to the conclusion that these costs should be reserved to the appeal so that this court can consider them at that stage in the light of all the circumstances then pertaining. This will mean that the position of both parties is preserved and neither will suffer any prejudice in the meantime [that looks like Samsung's equaliser, more or less ...]. Apple seeks permission to appeal to the Supreme Court on the basis that the matters we have decided raise a significant point of general public importance. We disagree. We have concluded that the filing and pursuit by Samsung of its central amendment applications does not in and of itself constitute an abuse of process. As for Apple's application, this fell to be dismissed because we were satisfied that it could not be said at this stage that pursuit by Samsung of these applications necessarily meant that the appeal itself constituted an abuse of process either. But, as we have endeavoured to make clear, this is entirely without prejudice to Apple's right to advance such submissions and make such applications as it may consider appropriate once the outcome and implications of the central amendment applications are known [Samsung 2 Apple 1]. Apple seeks a stay of all further steps in these proceedings until after the final determination of an application which it has indicated it proposes to make to the Supreme Court for permission to appeal and, if permission to appeal is granted, until determination of the appeal itself. We do not believe it is appropriate to grant such a stay. The form of the patents is not yet settled and we have made no final determination as to whether or not the pursuit by Samsung of this appeal would constitute an abuse of process [Samsung 3 Apple 1]. In light of this ruling we invite the parties to agree [!] a draft order and to submit it to this court for approval. A new patent right for Europe (the European Patent with Unitary Effect) and a new European enforcement and invalidation regime (the Unified Patent Court) are expected to come into operation soon, potentially as early as 2015. Existing patents granted by the European Patent Office (EPO), as well as those granted in the future, will automatically come under the jurisdiction of the new Court, unless opt-out rights are exercised. These measures represent one of the most complex and ambitious legal reforms in the field of European intellectual property since the creation of the EPO in 1977. For applicants and proprietors used to the current European system of national patents and national courts, the new system will present both opportunities and challenges in developing, maintaining and leveraging a cost-effective patent portfolio. For manufacturers, distributors and end-users, the new system will subject their activities to the jurisdiction of a new court, with unique and possibly unfamiliar powers and procedures. Decisions must therefore be made as to how best to take advantage of the possibilities afforded by the new system. - Should I start to register European patents as European Patents with Unitary Effect when they become available, or should I continue with national validation? - For which European patents and applications should I make use of the opt-out to keep litigation in the national courts? - Should I consider reverting to national filings instead of using the EPO? - How will the new Unified Patent Court be structured, and how will it work? - What choices will I have in future as to where to litigate – should I choose a national court or the UPC to enforce or invalidate a European patent? 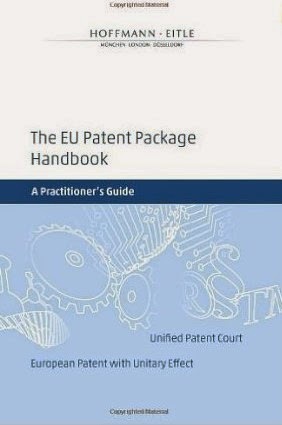 Several of Hoffmann Eitle's patent attorneys and attorneys-at-law, all with years of practical experience in the field of European and intellectual property law, have diligently prepared an up-to-date handbook to provide both guidance for the strategic decisions which will have to be taken and a detailed reference manual to the law and practice of the new system. This blogger hasn't had a chance to read the book from cover to cover, but he has dabbled in enough of it to see that it is a really handy handbook, authoritative enough to be useful for practitioners while at the same time being accessible enough for laymen to browse when seeking to appreciate the topography of the new European patent scene. Diagrams, tables and an index listing the inevitable abbreviations all enhance its utility. You can get hold of this book as a printed edition or in Kindle-friendly format via Amazon, iTunes and Google Play Store (some of these are free: details of links etc can be found here).